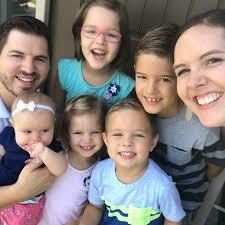 J House Vlogs is the family vlog of Jeremy and Kendra Johnston and their five children. They joined YouTube in 2014 and have 1.4 million subscribers. According to their blog, Jeremy was the one to want to vlog and Kendra was reticent to appear on camera and to put their family's lives on the Internet. But an answer to prayer directed her to jump in. The Johnstons are members of The Church of Jesus Christ of Latter-day Saints. Their Trick-or-Treating video, their most popular, garnered well over 16 million views. This page was last edited on 14 July 2018, at 15:19.